Xiaomi India has released a few teasers of its upcoming smartphone with the 32MP selfie camera since the beginning of this month. The next smartphone by Xiaomi – Redmi Y3 – is confirmed to come with a high-resolution front camera which will capture better selfies. And now, the company has also confirmed the launch date of the upcoming handset. The Redmi Y3 will the next iteration of the selfie camera-centric Redmi Y2 that was launched by Xiaomi back in 2018. According to the Chinese smartphone brand, the Redmi Y3 will be launched in India on April 24. 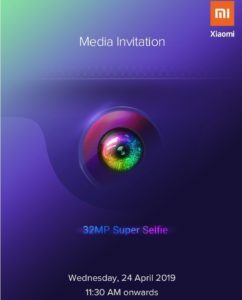 Xiaomi earlier took to micro-blogging website Twitter to announce that the Redmi Y3 will have a 32MP selfie camera that will let the users click better and high-resolution selfies with more details. 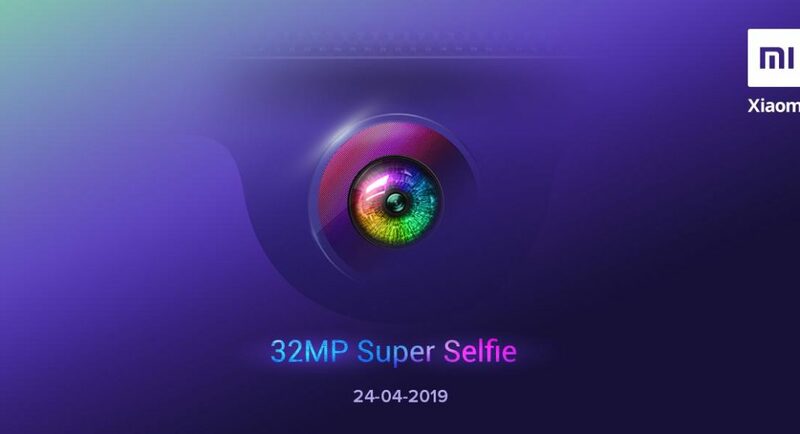 The company’s teasers also talk about ‘32MP Super Selfie’, which the Redmi Y3 will be able to take. But other than the launch date and the front camera of the device, the specifications and the price of the Redmi Y3 is currently not known. The company also sent out invites of the launch to media which say that the event will be held on April 24 at 12:00pm IST. Other than the front camera, the Chinese smartphone manufacturer has also put a silhouette of the device on its Twitter handle which indicates that the Redmi Y3 will come with a waterdrop style notched display similar to the Redmi Note 7 and the Redmi Note 7 Pro. The front camera of the Redmi Y3 is reported to be Samsung’s 32-megapixel ISOCELL Bright GD1 image sensor that was announced by the South Korean technology giant in October 2018. Other than the camera, the company had also tweeted about the battery of the device saying that the Redmi Y3 will pack a ‘larger battery’. The battery of the Redmi Y3 is claimed to give users a much-longer on-screen time before dying. A ‘larger battery’ could mean something between the 4,000mAh and the 5,000mAh battery range. However, it is not yet known if the Redmi Y3 will have support for fast-charging technology. Earlier, the Redmi Y3 was spotted on the Wi-Fi Alliance listing which hinted that the launch of the device was near, and now that the company has revealed the launch date of the device. According to the listing, the Redmi Y3 carries a model number M1810F6G and it will run Android 9 Pie skinned with MIUI 10. The Redmi Y3 handset also comes with the support for Wi-Fi 802.11 b/g/n standards.